In 1669, the Danish physicist Rasmus Bartholin was the first to publish an article on the splitting of light rays by Icelandic spar, a very pure form of the mineral calcite (calcium carbonate). Without knowing it, he had discovered polarization – a very important property of light. Unfortunately, without the benefit of a theory that could adequately explain the nature and behaviour of light, Bartholin was unable to deduce the origins of the phenomenon. 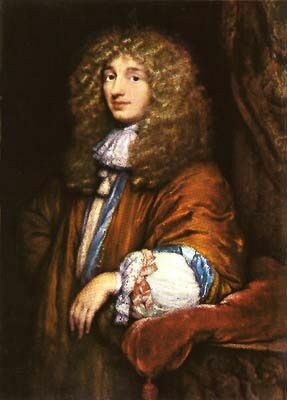 In 1678, the Danish physicist and astronomer Christiaan Huygens also observed the splitting of light by Icelandic spar calcite. He presented an explanation in 1690 that was based on the presence of “ether” – a hypothetical substance that filled space – but it was quickly disputed. It would be 11 more years until Thomas Young, a British physicist, would put forth a coherent light theory in which he suggested that light consists of waves that travel at great speed. Using this theory, physicists quickly understood that when a natural light source emits light, it generates a myriad of waves that oscillate in planes oriented in many different directions (see illustration). Consequently, if we project light onto a screen pierced with numerous parallel slits, only the light waves with the same orientation as the slits will be able to pass through. The light emerging on the other side will consist of waves that are all oriented the same way. This is known as polarized light. 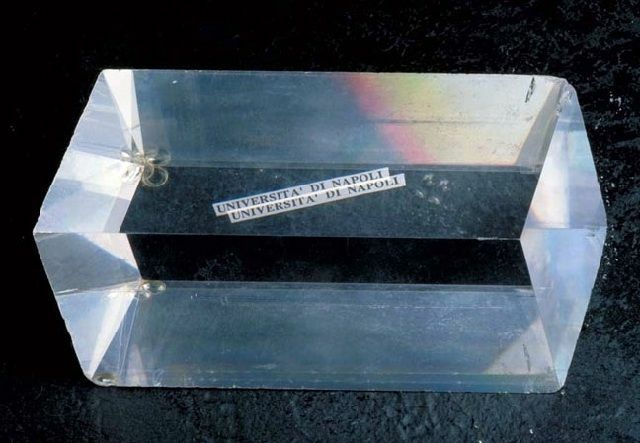 In 1809, the French mathematician Étienne-Louis Malus took his turn at deducing the riddle of Icelandic spar and came to realize that only two pathways exist in its mineral structure along which light may pass. Each pathway allows only waves with a specific polarization to pass through, resulting in the splitting of light and a doubling of images viewed through the mineral crystal. 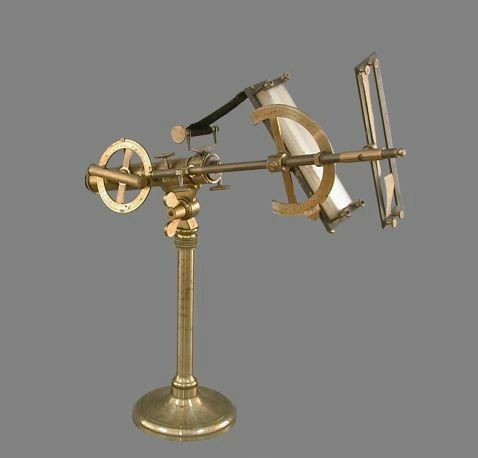 Only two years later, in 1811, the French astronomer Dominique François Jean Arago invented the polariscope, an instrument that can determine whether or not light is polarized. Among other things, he discovered that lunar light is polarized. In 1841, he invented the polarimeter – a polariscope in front of which a glass slide or pile of glass slides can be inclined to determine the proportion of polarized light. It is this instrument that is mainly used by astronomers today. 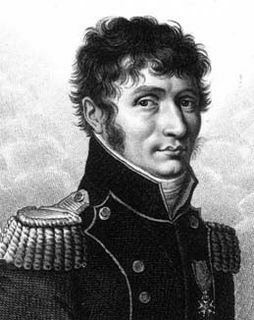 The study of planet surfaces using polarimetry was significantly advanced by the French astronomer Bernard Ferdinand Lyot. Working since 1920 at the Meudon Observatory near Paris, he submitted a doctoral thesis in 1929 on the polarization of light reflected from the surface of several planets. Among his hypotheses was the suggestion that Mars experienced gigantic sandstorms – a prediction that would be confirmed by the Viking 1 probe in 1976. Lyot died in 1952, but the astronomer Audouin-Charles Dollfus continued his worked at Meudon. Dollfuss was the first to determine that the surface of Mars consists of iron oxides. Today, Lyot and Dollfus are considered as the pioneers of planetary polarimetry. 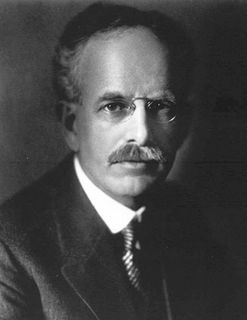 Research into stellar polarimetry can trace its roots back to 1908 when George Ellery Hale discovered that the first light emitted by a sunspot is polarized in a linear and circular manner. In 1922, he revealed the polarized nature of the solar spectrum emitted by the Sun’s surface away from sunspots. In 1946, the American astronomer Horace W. Babcock used polarimetry to identify, for the first time, a star other than the Sun that produces a magnetic field (the star was 78 Virginis). 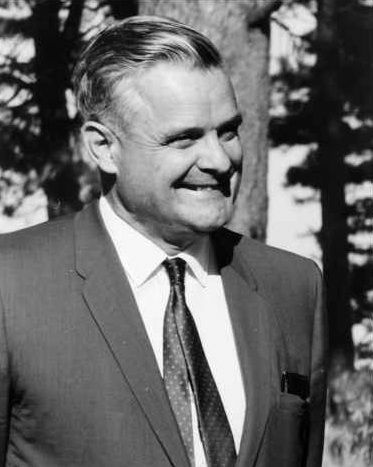 In 1949, the American astronomers John Scoville Hall and William Albert Hiltner independently discovered that 1--3% of the light emitted by many stars is polarized. In addition, a map of polarized light across the sky revealed large-scale structures of our galaxy. At the time, the phenomenon and pattern of widespread polarization could not be explained. The answer was not long in coming, however. In 1950, the American astronomers Jesse Leonard Greenstein and Leverett Davis Jr. proposed that polarization of interstellar light is due to the presence of dust particles that are naturally aligned with the magnetic field of the galaxy. The two researchers even developed models that used polarimetric data to detect interstellar magnetic fields produced by individual stars. Today, polarimeters are used to detect magnetic fields and to study the atmosphere of the Sun and other stars, the surface and atmosphere of planets, the interstellar medium, and nebulas.